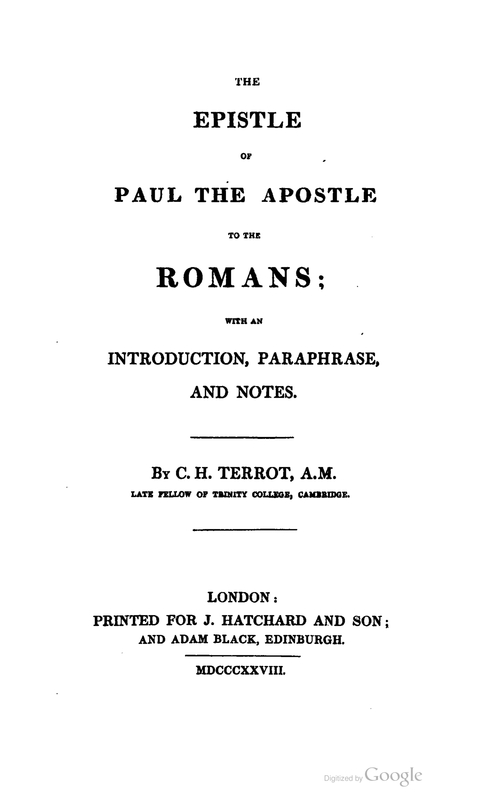 Title: The Epistle of Paul the Apostle to the Romans; with an Introduction, Paraphrase, and Notes. By C.H. Terrot, A.M. Late Fellow of Trinity College, Cambridge. Publisher: London: printed for J. Hatchard and Son; and Adam Black, Edinburgh.